Knowledge is power. The first step is knowing your HIV status. 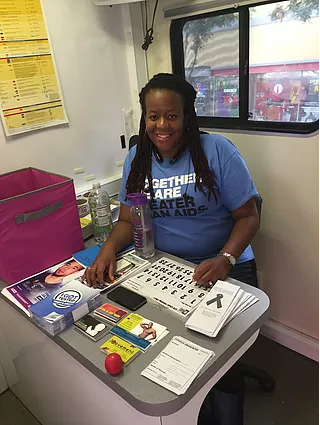 The U.S. Centers for Disease Control and Prevention (CDC) recommends HIV testing as part of routine health care, including for anyone who is pregnant or thinking of becoming pregnant. For some that may mean getting tested once a year – or more often, depending on risk. Your health care provider can help you determine how often you should be tested. Testing is faster and easier than ever, including options that do not involve needles. Rapid tests can provide results while you wait. HIV, like many other sexually transmitted diseases (STDs) often doesn’t show symptoms for many years. So, many people with the disease don’t find out until it has progressed and they are very sick. Early diagnosis and treatment of HIV not only improves health but also helps to prevent spread of the virus. More info. For those who test negative, there are now more options than ever to prevent HIV, including PrEP. More Info. Get tested today! Find FREE HIV testing in NOLA!